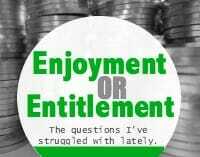 Enjoyment or Entitlement? The questions I’ve struggled with lately. Over the past two years, I’ve had somewhat of an internal struggle when it comes to splurging on anything that isn’t a necessity. On one hand, I feel that we can ENJOY a small splurge every once in a while. But on the other hand, I know that one small splurge can lead to feeling ENTITLED to something we might not be able to afford. 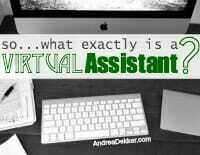 Every time I write a blog post about my Virtual Assistant (VA) work, or even casually mention what I do, the emails and questions start coming in. So today, I’m sharing my personal experience working as a VA for the past 4 years — and hopefully answering some of the questions I get on a very regular basis. Nora is potty trained… Hallelujah! 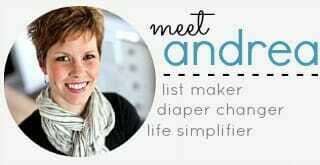 Come check out her big girl undies, her hilarious potty training one-liners, and how we managed to (fairly easily) potty train our very stubborn little girl. 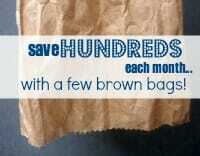 Are you looking for ways to save money on back-to-school essentials? Today, I’m sharing a way you could potentially save hundreds of dollars each month on something you’ll need every single days for each of your school-age children! 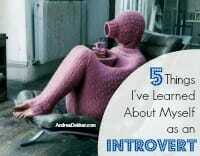 Over the past couple of years, I’ve spent more time looking into different personality types… and I’ve learned a lot about myself as an introvert. I do not feel less than, or worse, or slighted, or restrained in any way simply because I lean more towards the introverted spectrum of personalities. I actually find it fascinating to learn more about my personality type and what make me “tick”! 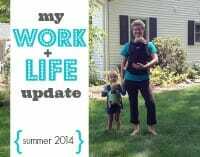 Over the past 3 years, as I transitioned from from working part-time from home with no kids to full-time from home with 2 kids, I’ve definitely had to make many adjustments with how I balance both my work and personal lives. So since Simon is already almost 6 months old, I figured it was time for an update on what my work and life looks like with 2 kids! 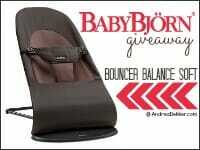 Our BabyBjörn bouncer is one of the best, if not THE best, piece of baby gear we’ve ever purchased. So yeah, I’m just a teeny, tiny, little bit excited that one of you has the opportunity to win one today!!!! Last week, Dave and I went through all our clothes (closet and dresser) and purged — sort of a grown-up version of getting organized for back-to-school. 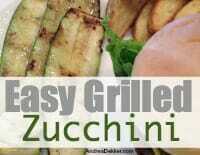 Definitely a must-read post if you have extra zucchini lying around! I’ve never really enjoyed going shopping; however, I also never discovered the amazing world of online shopping until a few years ago. In fact, I never purchased anything online (even from Craigslist) until after we were married! 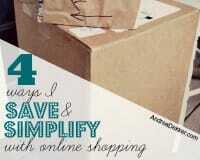 Over the past 3 or 4 years, I’ve almost entirely switched to online shopping, and I cannot believe how much it has helped me to simplify my life. Based on the number of email questions I get, I’m assuming stinky towels is a pet peeve (or at least mildly annoying) for many of you. 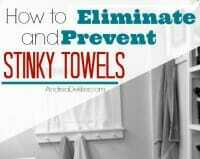 Thankfully, I’m a semi-obsessive towel-washer with an acute sense of smell — so I have a BUNCH of ideas for those of you with not-so-nice smelling towels! Would you believe me if I told you the last big purge I did was over 7 months ago? 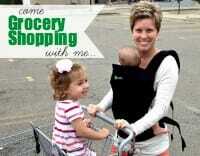 When I first started blogging (about 4 years ago) it was rare that I spent more than $25 per week on groceries. Now, 4 years and 2 kids later… our grocery bill has TRIPLED! Come read why our grocery budget has gone up — as well as a few ways I’m still managing to save money with little to no extra effort! 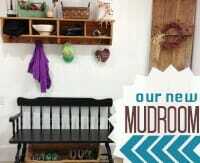 Our New Mudroom: The Full Tour! The mudroom is officially finished and we couldn’t be happier! We have plenty of storage for all our seasonal gear and lots of room to grow. 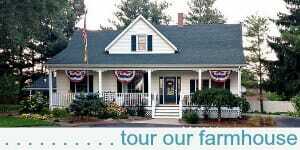 Come take the full tour! Both our kids watch a fair amount of TV every day — not because we are horrible parents, or because we don’t have time or energy to play with them, or because they can’t entertain themselves. Today, I’m sharing the reasoning behind why we let our kids watch TV… and I’d love to know your thoughts on TV and screen time for kids! When we purchased our home 3.5 years ago, we figured the kitchen would be one of the last projects we tackled — but as many of you know, our plans changed! 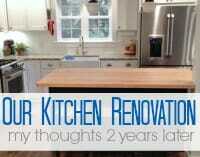 We renovated our kitchen 2 summers ago (I can’t believe it’s been that long already) and today, I’m sharing some answers to commonly asked questions I get regarding our massive renovation. I’ve been thinking a lot about meal planning the past few days — and about how much time, energy, stress, money, and calories it saves me each week. 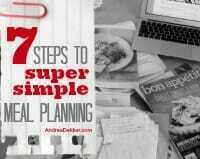 If you’re new to meal planning (or just got off schedule this summer) today’s post shares 7 steps to make the process as simple as possible! 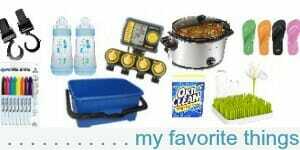 It is no secret that almost everything I buy is used — and since the items can often be dirty, I always wash everything before I use it. 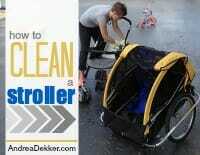 I was originally intimidated by washing larger items like strollers and bike trailers — but I soon realized these items were super easy to clean up. And they honestly look brand new when I’m finished!